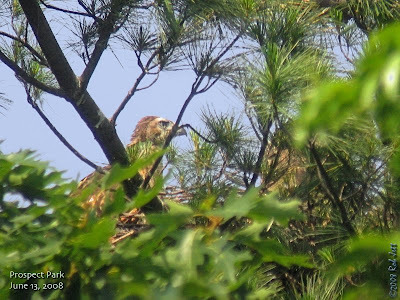 I went out of town for a short break, so never had the opportunity to see the Red-tailed Hawks in Prospect Park fledge. Somewhat disappointing, but I can't be everywhere. My wife and I were on our way down to Annapolis when I received a call from Steve Nanz. He had been contacted by a woman who lives in my neighborhood near Prospect Park. Apparently, she spotted a fledgling kestrel sitting on her neighbor's front step. 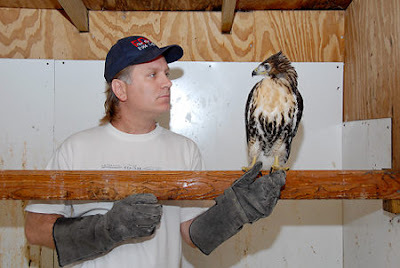 I gave Steve the phone number of wildlife rehabilitator Bobby Horvath and hoped that the young falcon wasn't injured. We took a few side trips while in Annapolis, one of which was to Mason Neck National Wildlife Refuge. Mason Neck has the distinction of being the country's first national wildlife refuge specifically established to protect the Bald Eagle. 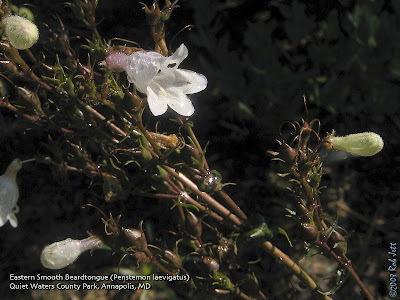 It's about an hour from where we stay in Maryland and about 18 miles south of Washington, DC. The refuge was beautiful, but we never saw any eagles. I did have an amusing encounter, though, along one of the refuge's trails. We spent one morning hiking along the Great Marsh Trail. It's a rich habitat and I was pleasantly surprised by the abundance of breeding birds. Refuge highlights included Black-billed Cuckoo, Yellow-billed Cuckoo, Pileated Woodpecker, Eastern Wood-Pewee, Acadian Flycatcher, Great Crested Flycatcher, Northern Parula, Prothonotary Warbler, Summer Tanager, Indigo Bunting and Orchard Oriole. While walking back to the trailhead I heard a familiar call echoing through the forest. 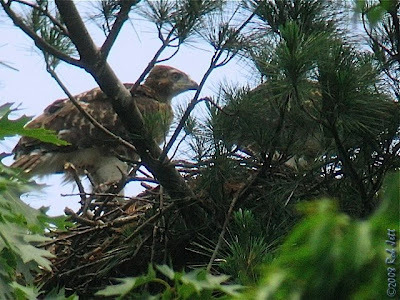 Shortly after their young fledge, Red-tailed Hawk adults will gradually decrease meal deliveries to the youngsters. 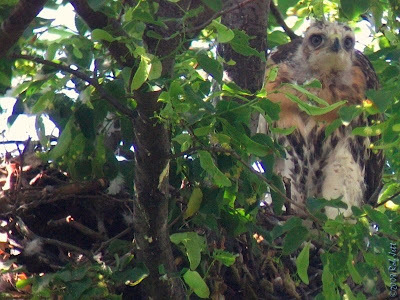 Eventually hunger will motivate the juvenile red-tails to begin hunting for themselves. However, there is a brief period of time when the young "beg" for food by making a desperate, whining cry. The noise is so grating that sometimes I feel like yelling, "Alright, already. Quit your bellyachin'!" I've learned how to make a pretty convincing imitation of their whistle, which, more often than not, calls the bellyacher into view. I was standing on the Great Marsh Trail listening to a Summer Tanager, when the mellow, singsong melody was interrupted by the squealing cries of a young Red-tailed Hawk in the distance. My wife was a short way up the trail, so I waved her back. "Watch this", I said. I cupped my hands around my mouth and imitated the young hawk. He immediately flew out of the woods and perched on a dead snag directly above us. During those few moments, I was oblivious to an older couple approaching us from the direction of the trailhead. They nonchalantly walked by, glanced up at the hawk I had called in, looked at me, looked back at the hawk, then kept on walking. I can't even guess what they were thinking. Hi Rob, Yes Steve did call Cathy here on Thursday night. He told her some woman found a kestrel and wanted advice. She told Steve to tell the woman to call us but we never heard back from either one. Cathy left him a message. I'm getting 2 more today from AMC but don't know where they came from so its possible that 1 might be the bird we talking about. Linda - I'm curious, were you the neighbor who had the young kestrel visitor for a second year? If so, would you be able to fill me in on the details. I'd been meaning to go over to your block and check on the presumed kestrel nest, but just hadn't had the time. I wanted to contact you when I found the little guy in the front yard but our computer crashed and I could not find your contact information. We did not touch the bird. He did not seem hurt, just frightened. After a while all of the humans grew tired of watching him and went home. When I went back outside to check on him, he was gone. The next day I saw him in the tree in front of our house. He was practicing his new skill by jumping from limb to limb and flapping his wings from time to time. The next time I looked he was gone for good. I think he made it. Thanks for asking. For now though it seems that all babies have fledged. While I was away, I kept wondering about the fate of the young kestrel. Was it injured? Was Bobby able to save it? As you could imagine, I was extremely pleased to come back to a story with a positive ending. 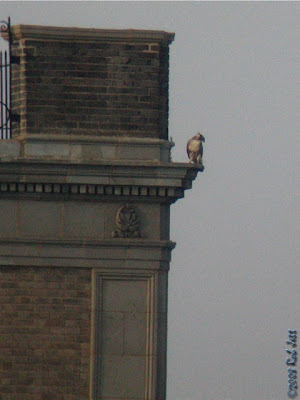 The kids are out of the nest in Green-Wood Cemetery. When Marge checked in on them on Friday, her feeling was that the older of the two would fledge over the weekend. This morning the nest was empty and we couldn't spot either young Red-tailed Hawk climbing around in the crown of the linden tree. While Marge circled the area on the north side of the nest tree, I walked the hill on the south side. It might take a few minutes, but I can usually locate camouflaged Red-tailed Hawks by following the distress sounds of songbirds. The cemetery, however, is a virtual aviary of breeding Northern Mockingbirds, so differentiating "real" bird alert calls from faux alarms is nearly impossibly. It became a game, after a while, naming the imitated calls and songs. At one point, Marge and I were standing beneath one mockingbird when he suddenly switched from a cardinal call to a cricket chirp. If I could count the number of bird species in Green-Wood Cemetery just by the mockingbird vocalization, I could probably match my big bird-bike day total of 123. We had nearly given up searching when Marge commented, "They usually spend a lot of time on the ground right after they fledge". Those words had barely left her lips when she said, "Look, there's one right there!" On a low tombstone, just west of the nest tree, stood one of the fledglings. She appeared to be the older of the two remaining offspring as she had already molted all of her facial down. She flew a short distance to a large statue of an angel and perched briefly on the head. We watched her for several minutes, moving from gravestone to monument, then up into a London Planetree. She remained there for about 15 minutes, preening, while Marge and I looked for her nest mate. A robin was calling from within a tulip tree on the hillside beneath the nest. I was convinced that it was a real robin, this time, and hurried to the spot. The younger red-tail was perched in the tree opposite the robin. The location was in a directly glide path from the nest and about 15 feet above the ground. She had the confused look of a nestling away from home for the first time. While we were watching, she took a few tenuous steps, then hop-flapped to a higher branch. With much more downy feathers still scattered about her face, I'd guess that she was the baby of the brood. Fluffy feathers on either side of her crown created a weird, horned appearance. It looked like hair styling by the 1980's band "A Flock of Seagulls". I try not to name the offspring of the resident Red-tailed Hawks, but Marge likes Lucy and Ricky. My reason is that they are very difficult to identify as adults, plus they don't stay around for very long. Also, I'm afraid that if I name them, I might begin to get too attached. I already spend a lot of time and mental energy on the Prospect Park and Green-Wood Cemetery pairs. I'd end up spending more time with my raptor family than my human family. Isn't that how it starts out for those people who end up living in a house with 97 cats? I took a break at around noon to check on the Prospect Park Red-tailed Hawks. Moments after I peered into my scope, Alice arrived with lunch for her two nestlings. They are now nearly as large as their mother and I estimate that they will be leaving the nest within the next couple of days. D. Bruce Yolton just posted a very good, thought provoking piece on his "Urban Hawks" blog. 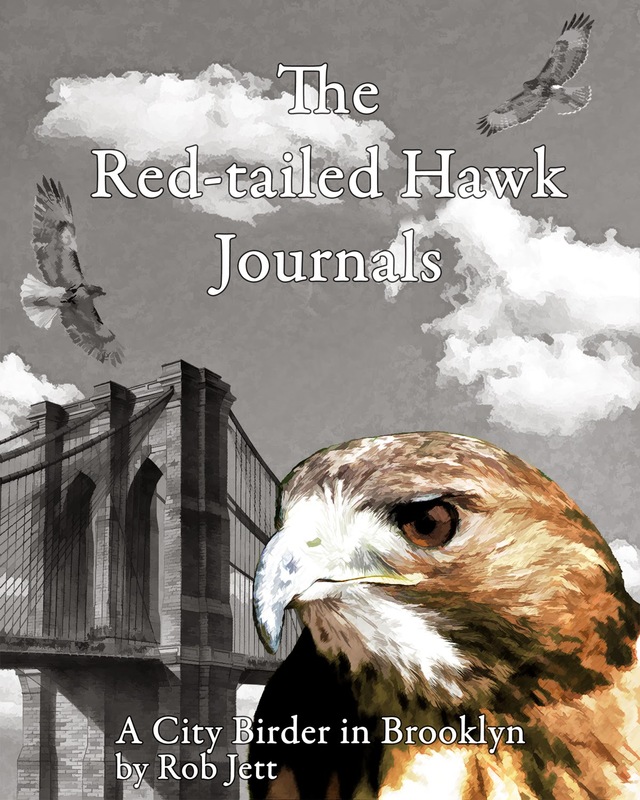 Entitled "Perspective", he makes several good points about the state of Red-tailed Hawks in New York City and our responsibilities to the welfare of these incredible animals. Bruce has a great blog and I recommend, in particular, this short read. 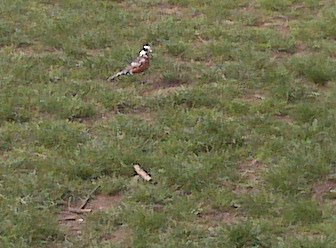 Back in late-April, my friend Stephen sent me an email asking me if I'd seen a very unusual bird in Prospect Park. He described a bird that, well, didn't seem like it would be found in any field guide. I told him that it sounded like a hybrid, but if he could, send me a picture. Eventually, someone else asked me about an odd bird that had been hanging around the Long Meadow, near the baseball fields. It piqued my curiosity, so I wrote back to Stephen. His friend, Kevin, was able to take a couple of photographs with his cellphone's camera. The quality isn't very good and I wasn't able to determine the bird's identity. Spring migration ended, I went back to focusing on the Red-tailed Hawks and completely forgot about the unusual bird in Prospect Park. That is, until I ran into an acquaintance one afternoon as I was leaving the park. At first, Carl didn't recognize me, but just zeroed in on the binoculars hanging around my neck. 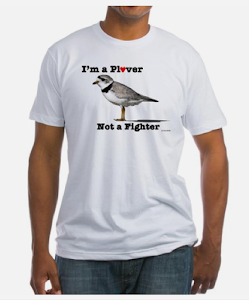 He approached me and said, "Excuse me, but are you a birder? I have a question about an unusual bird." Apparently, whenever he came to the park with his young son to play baseball, he saw the odd bird nearby. Carl knows a little more about birds than the average person, so his description of the animal was pretty good. I told him that it sounded like a leucistic or albinistic bird, maybe a robin. We looked around for a few minutes, but didn't locate it. I went back a couple of times to try and find it, but eventually gave up. I ran into Carl and his son again this week, in virtually the same location in the park. We chatted briefly, then Carl turned to his son and said, "Do you think we can find that special bird for this man?" Within a couple of minutes, his son flushed the bird and it hopped out of the grass onto the wood chips beneath a stand of mature elm trees. It was one of several hundred American Robins currently in the park, but, without a doubt, the coolest looking one I've ever seen. I don't know how to tell the difference between leucism and albinism, so let's just say this bird is schizochroistic. 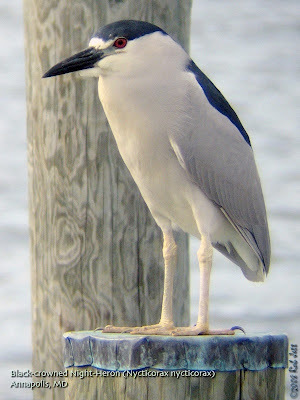 He has white patches on his coverts, a wicked racing stripe on his tail, a white crown and only small areas of black on a normally all black face. His "new improved" look seems to have come with an attitude. 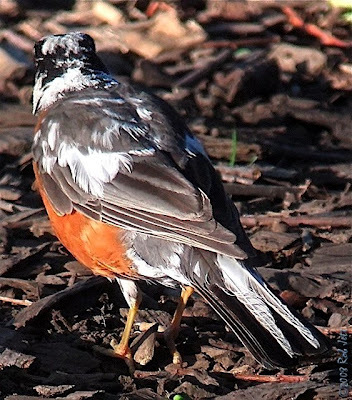 When he was foraging on the ground, the male robin boldly chased away most of the birds that got too close. 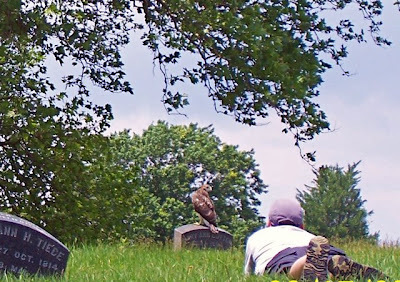 My experience at the Green-Wood Cemetery nest had made me nervous about the nesting hawks in Prospect Park. The last few times I went to check on the nest, I only saw one nestling. It made me a little unsettled, so I was determine to find out the status of Alice and Ralph's offspring. Over this past week I spend every bit of free time I had to monitor the nest in the Ravine. May's frenetic flight of migrating songbirds has been replaced by other winged creatures. 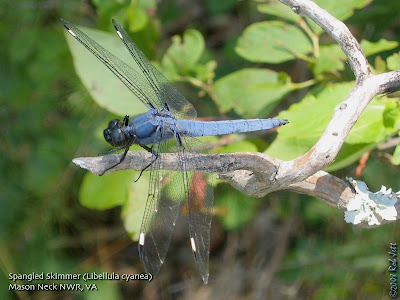 A sudden diversity of butterflies and dragonflies are now flying through the park's woodlands, meadows and around the waterways. I did, however, stumble on two latecomers in the park this week. 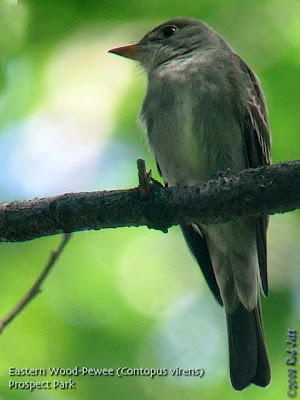 An Eastern Wood-Pewee was calling for a mate in the narrow stretch of woods next to the picnic house and a Northern Parula was singing from a perch above the stream in the Ravine. Hopefully, they'll catch up with the others, but it's likely too late for them to claim a territory and breed. 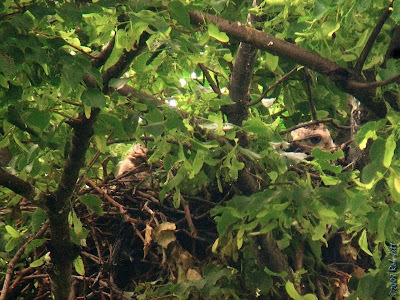 Views of the Red-tailed Hawk nest are limited to one or two very narrow openings in the canopy. All are on the sunny side of the nest. Adding to my problem was a five day stretch of over 90 degree temperatures. During those days, Alice would stoically sit at the edge of the nest with her wings outstretched, shading her brood. 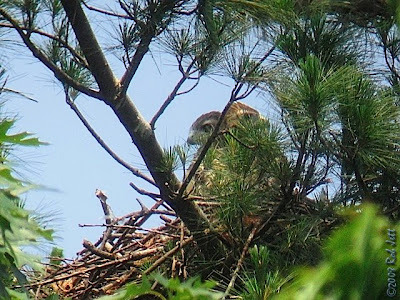 On Tuesday, I began to see stirrings at the east edge of the nest. Unfortunately, that is the side where a large branch obscures ones view. At that point, I had never seen more than one large nestling at a time moving around on the nest. I was concerned that, perhaps, one had died. Wednesday I decided that I would monitor the nest all afternoon. 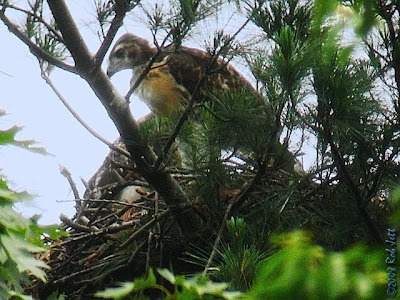 It was important to me to see if both young Red-tailed Hawks were still in the Prospect Park nest. After two hours I had my answer. Both young raptors looked healthy and are quickly approaching their maiden voyage. One hawk was hop-flapping for a few minutes before retiring to the right corner of the nest. Viewed through a screen of small branches and pine needles, she appeared to be preening. For a change, Alice wasn't watching them from within the nest. When she arrived with food at 3:58PM with food, her second chick waddled into view from the north side of the nest. The red-tails look close in age, with one having a bit more downy feathers on the side of the head. 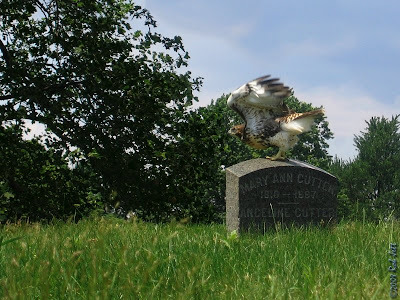 On Monday I will visit both the Green-Wood Cemetery and Prospect Park nests. Marge reported to me that the two eyasses in the cemetery were doing quite a bit of climbing yesterday. 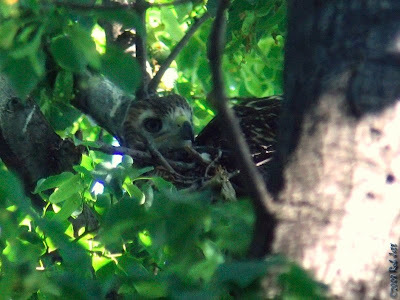 At one point, she thought the larger of the two had fledged, but it turned out that she had just climbed a few feet above the nest and was hidden by leaves. Below is a short video of the nest in Prospect Park. 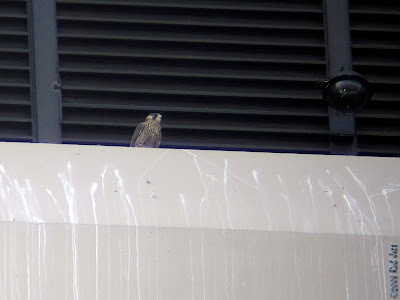 Fellow hawk-blogger and friend, James O'Brien, had an encounter with a juvenile Peregrine Falcon that had a positive ending. 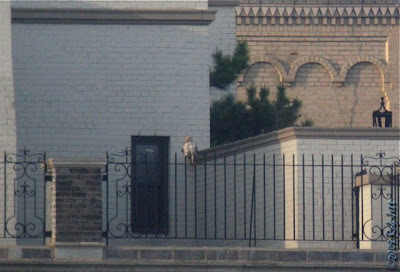 The website "Animal New York" just posted a great story entitled "NYC Bird Watcher Saves 'Juvie' Falcon From Imminent Death". Being the fastest animal on the planet isn't very useful when you don't know to get out of the way of traffic. Thanks to James' quick actions, the falcon was given a reprieve and, hopefully, will live a nice long life. It's hard to tell from the photos who is more happy, James or the bird. According to my "hawk calendar", this should be a big week for the Prospect Park and Green-Wood Cemetery Red-tailed Hawk offspring. Based on the presumed start of incubation at the two nests, I estimated that the young hawks would fledge some time this week. Marge and I arranged to meet and go check the progress of the eyasses at the two nests. The weather forecast predicted oppressively hot, humid conditions, so we decided to start the morning at the cemetery. Big Mama and Junior's nest is located just below the crown of a Little Leaf Linden tree and the chicks are well shaded. The best viewing locations for Marge and I, however, are in full sun. In Prospect Park, we'd be able to monitor the nest from within the cool shade of the forest, so arriving by late morning won't be too uncomfortable. Marge parked her car in Green-Wood Cemetery at the intersection of Linden and Atlantic Avenues. Standing in the middle of the road on the west side of the nest, I discovered a fairly large opening in the foliage directly in front of the nest. Two of the three young Red-tailed Hawks were very active. One has considerably more head feathering than the other, but both were practicing hop-flapping. The older of the two began climbing up a branch that sticks up on the north side of the nest. I was moving my tripod to a better vantage point when I heard Marge yell. She had been walking counter clockwise towards the north side of the nest, stopping periodically to scan for views of the hawks. "Rob, one of the babies is dead", she shouted. I looked up from my camera and saw her standing near the base of the nest tree. 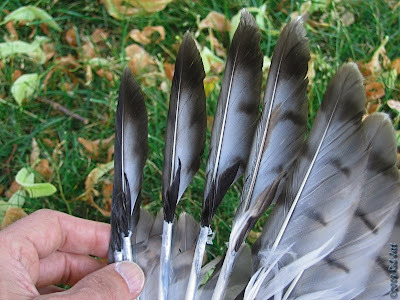 Since 2002, I've been observing and writing about the progress of Brooklyn's resident Red-tailed Hawks. I've peered into their lives and been witness to the annual cycles of courtships, nest building, incubation, feeding, fledging, hunting and independence. This was the first time, however, that I'd encountered a death within their family. Marge was standing a few yards from the base of the tree and nearly directly below the nest. The hawk was small, perhaps a male, but seemed outwardly healthy. His feathers were well groomed and there was no sign of injury. Perhaps he was climbing around outside of the nest and just lost his balance and fell to his death. There were no signs of predation and flies hadn't even discovered the dead bird. A small ring of downy feathers surrounded the patch of grass where he hit. I called the Brooklyn Park Rangers as they would want to recover the bird and send it to the state wildlife pathologist's office, to rule out disease as the cause. I moved him out of the sun after I hung up the phone. I expected the young bird's body to be rigid, but it was supple and limp. Could he have tumbled from the tree just before we arrived? Flight feathers were still emerging from the shafts on his wings. If he had fallen, they would have been of little use. While we were still present, Junior flew across the road towards us. Looking more like a Merlin than a Red-tailed Hawk, his arrow straight path was only a few feet off the ground and he passed just yards from where I stood at my scope. He pulled up and perched on a tombstone. We left the cemetery a few minutes later and headed to Prospect Park. Entering the shade of the Ravine was like walking into an air-conditioned office building. It felt 20 degrees cooler than the blazing sunshine at the cemetery nest. I was organizing my gear when Marge pointed out a large flying insect. Neither of us knew what it was, I mean, it's nothing like identifying a bird in flight. I stood in its path and let it land on my chest. 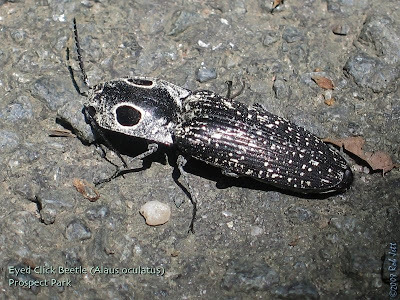 The large bug was an Eyed Click Beetle. 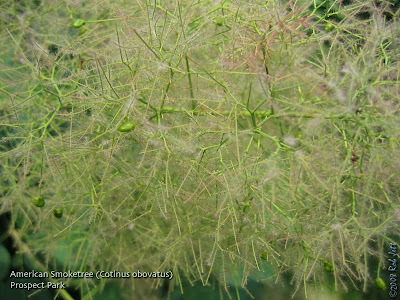 They're not particularly rare, but I've only seen them in Prospect Park a few times. 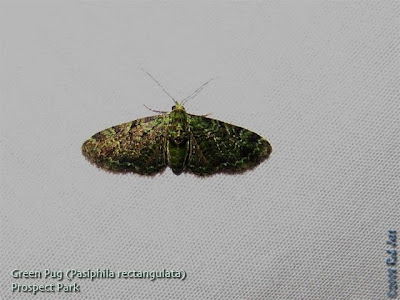 After placing it on the sidewalk, Marge asked why they are called Click Beetles, so I flipped him onto his back. Like a wind-up toy, the insect snapped his head back, making a loud "click" sound and righting himself. Unlike the shaded nest tree in Green-Wood Cemetery, Alice and Ralph's nest is at the top of a conifer, exposed to full sunshine. When we arrived, Alice was at the nest, her back to the sun and wings partially opened, shading her offspring. I could only imagine the stifling, midday heat on that nest. 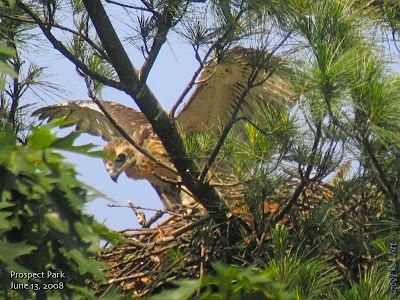 We saw an occasional flailing of wings, but the Ravine Red-tailed Hawk youngsters remained inactive. 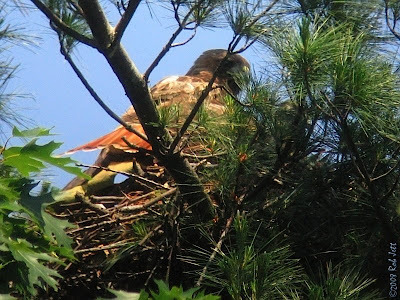 At one point, when Alice was preening, I saw a young hawk stick his head up from behind his mother. 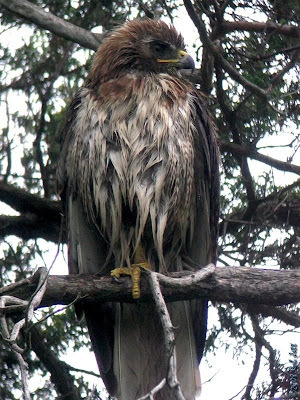 Th e top of his head was streaked with dark brown feathers. 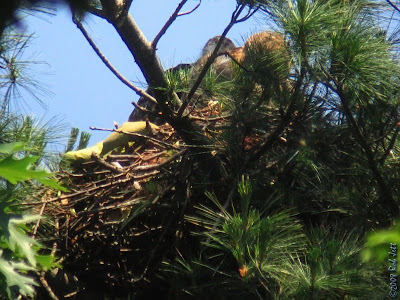 The pine branches on the southeast side of the nest concealed a second hawk and, just as it has for the previous five years, prevented me from taking any decent photos. We never saw two eyasses at the same time. I would normally presume that both young birds were still alive, just out of view. After this morning's experience, I don't suppose that anything can be taken for granted. *Update - Marge called and told me that this morning she spoke with Alison Cobb, another Green-Wood birder. She had actually been in the cemetery checking on the nest prior to our arrival. She walked around the tree and all three young hawks were still on the nest. Based on the time frame, the hawk seems to have died between 9am and 10am. 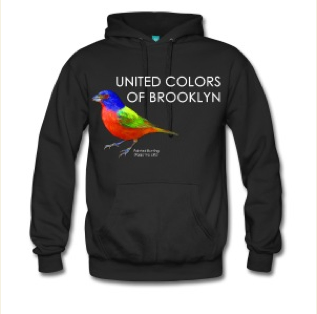 I've lived in New York for my entire life, most of it within the city's 5 boroughs and the last 20 in Brooklyn. Somehow, during all that time, I managed to overlook Governor's Island, which is a mere 400 yards west of Brooklyn across Buttermilk Channel. 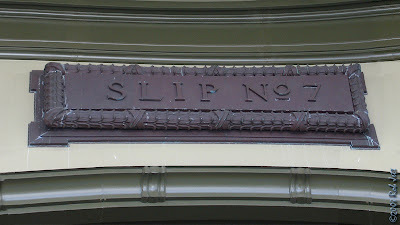 Last Sunday I made up for lost time and took the free ferry service from Slip No. 7 in lower Manhattan over to the island. The historic 172-acre island is scheduled to undergo a major renovation. There's an interesting slideshow by the Dutch firm that, supposedly, won the design bid here. I arrived fairly late in the day (by birding standards, anyway) so didn't observe much bird activity. 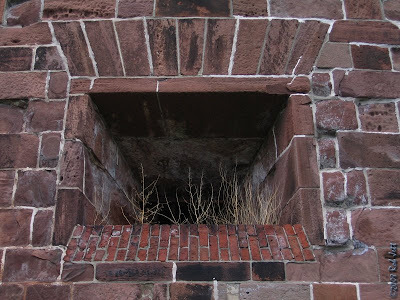 Williams Castle, one of five forts that protected New York Harbor, was pretty cool, though. Only the main courtyard is opened to the public pending renovation. On the east side of the island, on Buttermilk Channel, there is a large, modern pier for ships to dock. The south end of the pier looked as if it is unused by vessels and was occupied by a boisterous flock of terns. I didn't have my scope, but through bins they looked to be mostly Common Terns and a few Forster's Terns. Next time I go, I'll bring my scope because it's always possible that some other wayward species is mixed in with the expected birds. There was one other unexpected find. 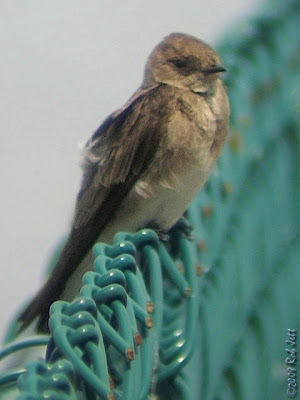 As I rounded the northern-most end on my counter-clockwise walk around the island I spotted a brown swallow perched on a low, cyclone-style fence. It turned out to be a Northern Rough-winged Swallow. I took a few photos through my binoculars, which sort of worked. These brown swallows are usually only seen on migration around New York City and, generally, flying low over ponds and lakes in the company of other swallow species. It seemed odd to find a single bird and, in retrospect, I think it was the only time that I've observed one that was perched. Like most New Yorkers, they always appear to be in a hurry. After returning to lower Manhattan, I walked north towards the South Street Seaport. The building at 55 Water Street has a Peregrine Falcon nest box that is visible from the street. Through my bins I was able to spot three, nearly ready to fledge falcons. While watching them, one of the adult peregrines flew passed the aerie, made a halfhearted attempt at grabbing a pigeon near Slip No. 7, then returned to a perch on a build adjacent to the nestbox. The young falcons waddled back and forth along the narrow ledge where their small shelter is located. I managed to take one reasonable photo through my bins. I suspect that by this point in time they may have already fledged. Steve invited me to join him for some bug-watching in Prospect Park on Saturday night. 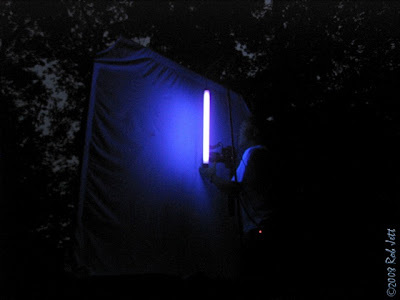 He has a portable black light that he uses to draw insects onto a white sheet for photographing. Who needs cheap beer and NASCAR racing for entertainment when there's 500 acres of creepy crawlies across the street. Yeah, I know, we're a couple of real party animals. I planned to meet Steve in the Lullwater near the Terrace Bridge at 8pm. I sat up on my roof for about an hour, to kill time. I'm glad I did because I spotted another couple of party animals. Alice and Ralph must have left their eyasses with a babysitter because the two were out of the park and playing on the updrafts near Grand Army Plaza. It had been months since I'd seen the two in that location and, I suppose, it was an indication that they felt comfortable leaving their offspring alone on the nest for a short time. I rode my bicycle into Prospect Park because Steve was setting up near the opposite end of the park from where I live. When I arrived at the Terrace Bridge I called Steve's cellphone, because I couldn't find him. It turned out he was just out of view, below me, along the edge of the Lullwater. There was about 20 minutes of sunlight left in the day, but his set-up had already begun to attract a lot of insects. The black light was suspended off of a copper bird feeder stand. A five-foot square, white cotton sheet held in place by an aluminum frame stood several inches in front of the light. By the time the sun had completely gone down, the sheet was covered with tiny insects. 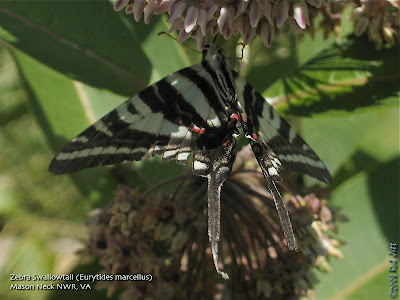 I'm fascinated by pretty much everything in the natural world, but had never spent any extended period of time focused just on insects. The dominant insect on this night seemed to be midges, but it was difficult for me to tell, even when using my reading glasses. After about 30 minutes, my brain seemed to adjust to the unusual perspective and I started to see differences in many of the minute creatures. 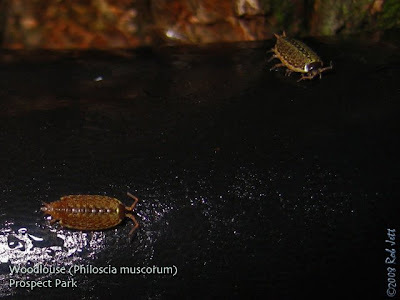 In addition to the midges, there were ground beetles, stag beetles, click beetles, moths, lacewings, leafhoppers, craneflies, caddisflies and probably many more that both Steve and I overlooked. 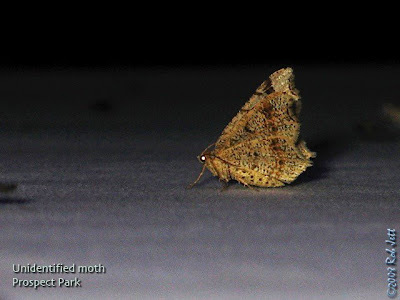 One of the strangest insect observations wasn't actually in front of the black light. 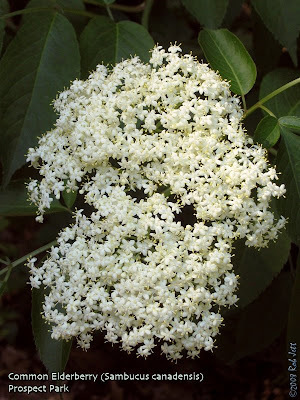 When I arrived in the Lullwater, I leaned by bicycle against a mature linden tree near the edge of the water. At one point in the evening, Steve took a flashlight over to the tree to look for insects on the bark. As he shined the light onto the tree's deeply fissured bark he noticed a few woodlice. Stepping around my bike he glanced down at the seat, then called me over. Apparently, because the corner of my seat was touching the tree, some of the woodlice had taken a detour off of the bark and onto my bike. I vacillated between fascination and revulsion, as I watched these odd, metallic-colored crustacean crawling around where, eventually, I'd be placing my rear end. In the pitch darkness of Prospect Park's interior, the glow of the black light created a tight cocoon of illumination. This envelope of light abruptly ends outside of a 10 foot radius, making it impossible to see anything beyond. We were making inane bug jokes and clowning around when we heard a deep voice coming from the darkness outside the black light border. "How long are you guys planning on being here?" The succinct question came from an NYPD officer. My pupils were nearly closed from the intensity of the black light, so I couldn't even see the man. Steve told him that we would only be another 30 minutes. He asked if we had cellphones. I told him that we did. It was weird, because he sounded like he was only a yard or two away, but I couldn't see him. I asked if he wanted to check out some really cool insects (God, I'm such a geek). He didn't respond. As he walked away, I heard him talking with another officer, who had also been watching us photograph insects. On my ride home, I pondered the creative writing skills of those two officers. Do you think they included in their nightly report the encounter in the Lullwater with the two guys and the black light? At home, I started editing my photographs. 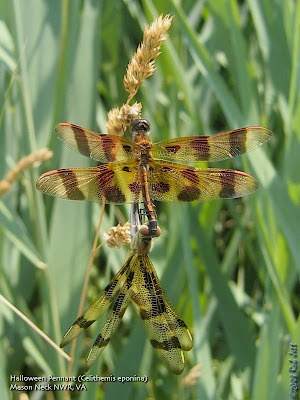 My insect library is limited, so I searched the Internet for some identification help. In the back of my mind, I sort of understood that insect identification was not easy. It wasn't until I was looking up beetles that it became crystal clear. I learned that the order Coleoptera (Beetles) contains 300,000 insects, a third of the world's known animals! Saturday afternoon the sky opened and torrential downpours kept me indoors for most of the day. The rain stopped at about 3pm and I decided to run over to Green-Wood Cemetery. I was curious how Big Mama and Junior's trio weathered the storm. The nest tree is closer to the Prospect Avenue entrance of the cemetery than the main one on 5th Avenue, but the gate is only opened until 4pm on weekends. I had to rush if I didn't want to walk the length of the cemetery to exit. I was walking along Linden Avenue, towards the intersection at Atlantic Avenue, when I heard the first alarm calls. A robin was crying out from somewhere up the rise to my right. A little farther down the road I heard the mewing call of a distressed Red-eyed Vireo interspersed with the robin's loud "tut, tut, tut." 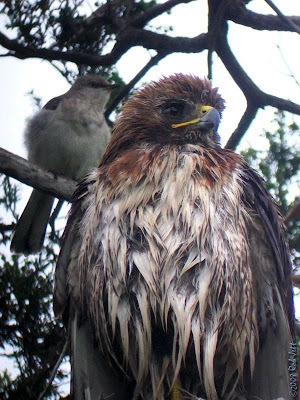 It turned out to be neither bird, but rather a mockingbird harassing a Red-tailed Hawk. Junior was perched in a cypress tree, looking a bit like he had just emerged from Dorothy's twister. His body feathers were matted and his head plumes stuck out like porcupine quills. He didn't look happy. The Northern Mockingbird relentlessly yelling in his ear and taking swipes at him didn't help matters. I found it curious that the mockingbird had chosen to mimic another bird's distress call. Was his own not sufficiently alarming? Maybe Northern Mockingbirds have a reputation among the wildlife community for "crying wolf." I scoped the nest from the center of the road. The rain had weighed down the leaves and branches closing off all other vantage points in which to view the chicks. Big Mama wasn't on the nest or in the nest tree. The three young hawks remained hunkered down for the short time I monitored their activity, although one did pop his head up a couple of times. On my way out of the cemetery I spotted Big Mama perched in a cypress tree a couple of hundred yards away from her soggy mate. She either managed to find shelter from the deluge or had already preened and put herself together, because she looked her usual cool, collected self. The following article just appeared in the New York Daily News. Bobby has told me in the past that we are coming up on a very busy period of time for him. 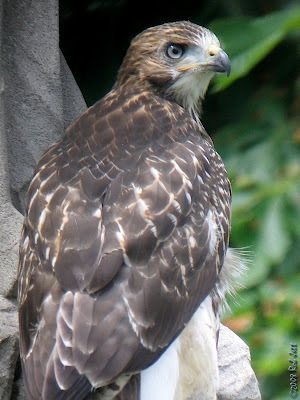 As all of our young Red-tailed Hawks leave the nest they run into many different hazards around New York City. Let's hope that they all have a happy ending. New York City Firefighter and licensed wildlife rehabilitator Bobby Horvath with a 6-week-old hawk found on W. 55th St. in Manhattan last year. In Greek mythology, the goddess Athena is a helper of heroes and a protector of the brave. But in the heavily Greek neighborhood of Astoria, Athena is a young female red-tailed hawk who needed help from a hero - and got it from one of New York's Bravest. Last year, Athena and her mate, Atlas, nested on an elbow-shaped drainage pipe on the underside of the Triborough Bridge approach. One day in July, after her offspring - known as eyases rather than chicks - had left the nest, neighborhood residents found Athena lying unresponsive on the sidewalk underneath the bridge. 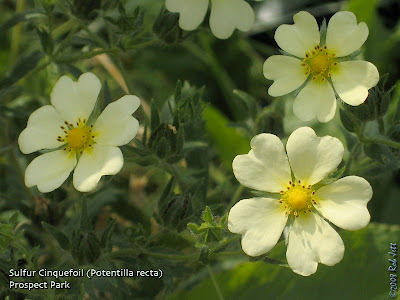 She was dehydrated and anemic, and exhibited neurologic symptoms indicative of poisoning. Athena "was helpless," said Bobby Horvath, a firefighter at Engine 264 in Far Rockaway who was called in to care for the hawk after lab tests confirmed she was poisoned by an unknown toxin. Horvath, 45, moonlights as a licensed wildlife rehabilitator. 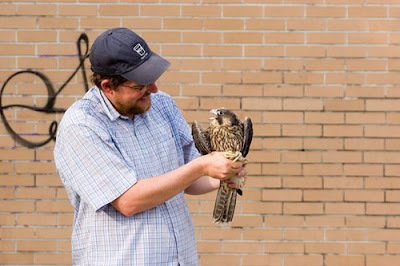 He has cared for hundreds of hawks, falcons and owls out of his Long Island home. He fed Athena, and gave her antibiotics and fluids. 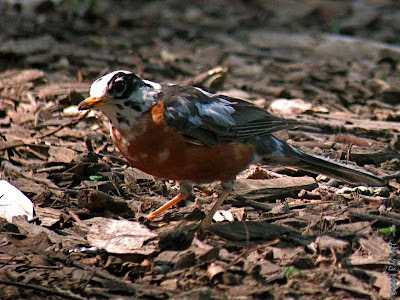 Though it is "very uncommon" for birds to survive poisoning, Horvath said, the plucky Athena perked up eight days later. "That bird was very lucky, very fortunate, that it received care in a quick manner," said the FDNY veteran, who has spent more than 14 years fighting fires. Athena, named by local hawk watchers in honor of Astoria's Greek heritage, was soon returned to her nest and the company of her mate. But she quickly skipped town - and wasn't spotted in the area all winter, said local Athena-watcher Jules Corkery. 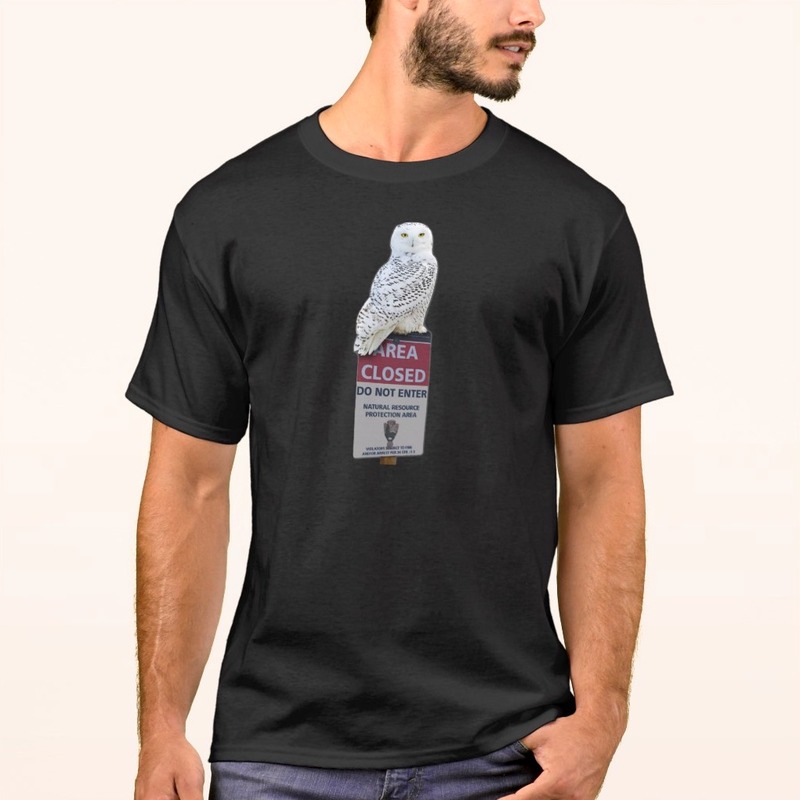 This spring, as bird watchers began reporting birds of prey nesting throughout the city, Athena was still nowhere to be seen in Astoria, said Corkery, 42. "Just when we had given up hope, she was spotted with Atlas, perching on a London plane's branch," she said. Since returning around Easter weekend, Athena and Atlas have established a new nest on the underside of the Triborough Bridge, not far from their previous spot. Athena has been glimpsed in nearby Astoria Park, perching atop floodlights illuminating the track, or alighting atop the pool's high-diving board. But that's not all. Since early last month, Athena also has been spotted caring for three fuzzy eyases. "If she was healthy enough to lay and hatch healthy babies, then she is absolutely, 100% recovered from her poisoning episode," Horvath said. It is unclear how Athena ingested the poison, Horvath said, but most likely, she ate a rat, mouse or pigeon that had been poisoned. 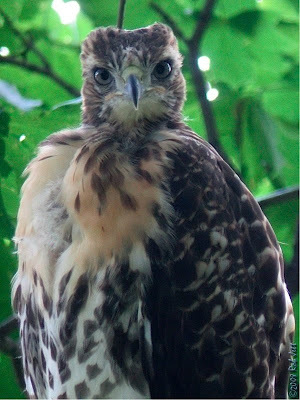 Juvenile Red-tailed Hawks are going to be leaving their nests very soon in all 5 boroughs, and there are lots of them. During their first, exploratory days they may seem tame as they haven't yet learned to be wary of us humans. Let me be very clear, they are not tame! Do not approach them and in no way should you try to pick them up. First, it is against city, state and federal laws. Second, they can inflict serious injury, intentionally or otherwise. 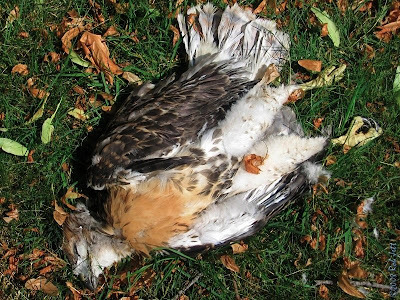 If you ever find a sick or injured hawk call the city's 311 line and they will contact the proper authorities. You can also contact Wildlife in Need of Rescue and Rehabilitation (WINORR).